River’s Back! You might remember this little lady – she came to my studio last year for her Newborn Session and she’s come back with her mum for her Sitter Session! These sessions are the best! Sitter Sessions are done when the baby is about 6-9 months old. Typically the baby can sit un-assisted on their own but they’re not quite crawling yet. This age is so much fun as babies have so much personality! Their eyes and expressions are beautiful and, as you can see with River, she’s full of personality! These particular photographs where taken at my home studio in Engadine. I recommend coming to my home studio for sessions but, I can come to your home if you prefer. Check out my website further for more information on my Sitter Sessions. Also, be sure to have a look at my Baby Gallery to see more lovely images of beautiful babies! Are you wanting to have baby photos done? 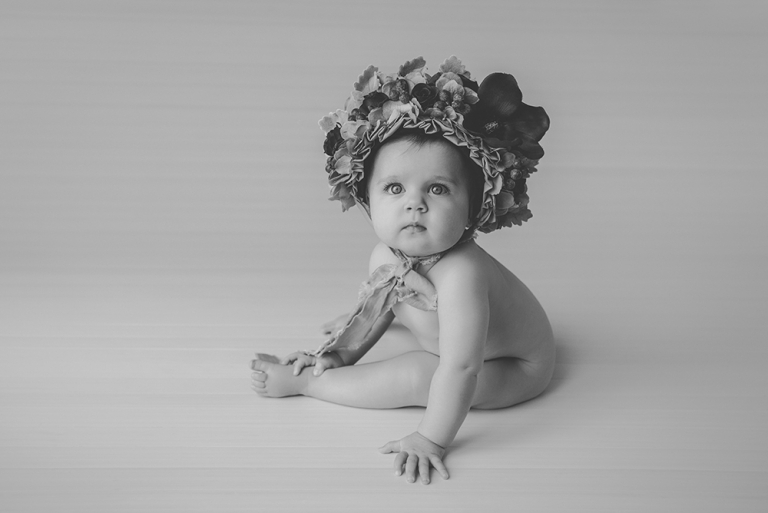 to enquire about your custom baby shoot. 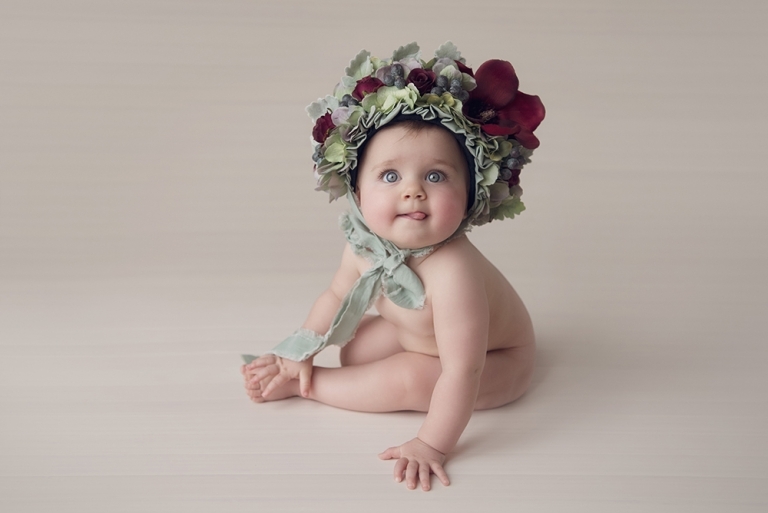 Baby Photography Sutherland Shire. River’s mum and dad chose some lovely images to go with their photographs. They selected some prints mainly 8×10 inch in size. River’s mum got her favourite photo printed extra large – 11×14 inch in size and one little 5×7 inch print. Don’t forget to check out my Prints and Products to see how you can get your images printed. Are you interested in getting photos done for your baby? I’d love to chat with you about your photography session. If you have any questions, I also have an FAQ page that you can visit.